In a textbook example of why competition is good, Nvidia has dropped the price on two of its high-end graphics cards, presumably to keep up with rival AMD. 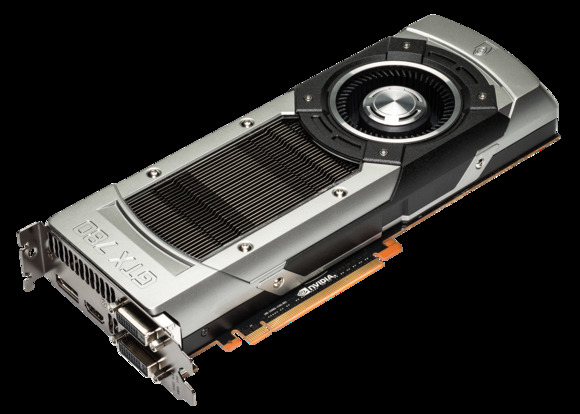 Nvidia’s GeForce GTX 780 (shown above) is getting the largest price cut, from $649 to $499. That makes it $50 cheaper than AMD’s comparable R9 290X. 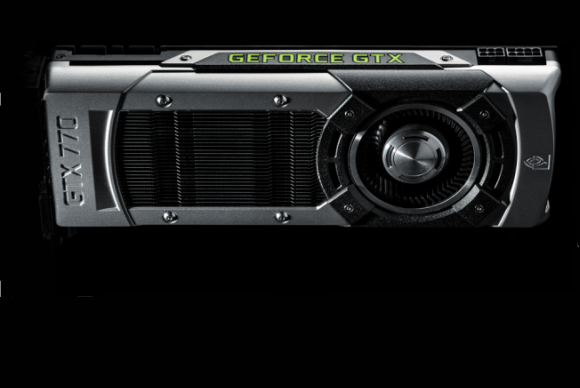 The less-expensive Nvidia GeForce GTX 770 is also getting a price cut, from $399 to $329. AMD still hangs onto a cost advantage here, with the comparable Radeon R9 280X retailing for $299. To sweeten the deal, Nvidia is giving away a few free games with its high-end cards when purchased from select retailers, along with $50 to $100 off the purchase of an Nvidia Shield handheld. PC Perspective reports that the price drops on Nvidia’s cards should go live by Tuesday on Amazon and Newegg. While Nvidia is known to charge more for its graphics cards, it may be feeling some extra pressure to turn PC gamers’ heads. AMD’s been on a roll lately, scoring design wins for the Xbox One, PlayStation, and Wii U.
Nvidia also announced a price and release date for its previously-teased GTX 780 Ti graphics card: It’ll cost $699 when it launches on November 7, placing it above anything that AMD currently offers. But with specs and benchmarks still unannounced, we’ll have to wait and see how Nvidia will justify the premium price.